Vintage Old Real Photo Photograph Photographic Postcard, Middle East Israel Palestine Holy Land. Jerusalem, La mer morte. 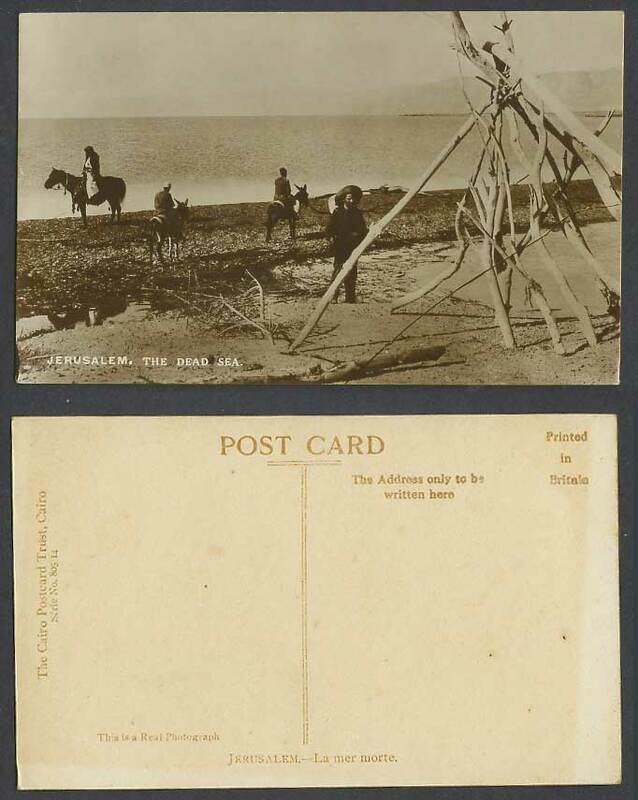 The Dead Sea, Horse & Donkey Riders.